With a wide echo in the international press, Benfica's biggest ever result at the new Estádio da Luz has crossed continents. The biggest rout of the 2018/19 Liga NOS was achieved on Sunday, at Estádio da Luz. 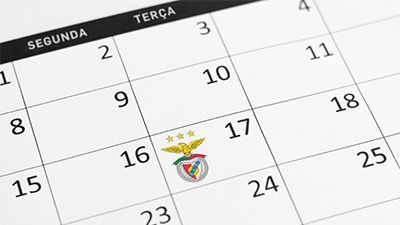 On matchday 21, Benfica hosted and beat Nacional by 10-0. In the Old Continent, several newspapers and websites marked the ten goals scored by the eagles in the match. The website “24matins.fr” described the happening as the “Benfica's monstrous rout”. Still in France, for “L'Équipe”, the prestigious sports newspaper, “Benfica offered an amazing attacking festival in front of its fans”. In Spain, the 10-0 against Nacional also did not go noticed. “As” described it as “goals coring feast”. In Italy, the newspaper “La Gazzetta dello Sport” refers to Benfica as a "scary team". Ahead of the clash with Galatasaray in the Europa League Round of 32, Benfica trashing of Nacional deserved a special treatment by the Turkish media. The website “TRT”, in its sports section, remembered that the eagles achieved a “historic win”. In Turkey they also highlighted the “sixth straight win in the championship”. In the American Continent, Benfica's victory had a wide echo. Bryan Róchez, the forward from Nacional, is Honduran and, as such, the country's press noticed the match . “La Prensa”, from Honduras, remembered that “Grimaldo began the recital – so far the biggest of the Portuguese league”. The website “TNT”, from Argentina, saw a “devastating Benfica”. And in Venezuela, the newspaper “Meridiano” made a note of a “historic rout”. From Central and South America to North America, highlight for Clint Capela. The player from the Houston Rockets, from the NBA, where also plays the “Benfiquista” James Harden, posted on in official Twitter account: “And I thought Chelsea had a bad day [6-0 loss against Manchester City]…”, retweeting a post from “Who Scored” with all the goals from the reds. In Europe/Asia, the match at Luz had an impact in Russia. The sporting newspaper “Sport Express” reports an "uncommon" win. In Africa, “Folha de Maputo” wrote about the an “old school rout”, “the biggest ever at the new Estádio da Luz”.